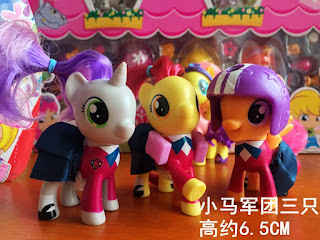 A few days ago we reported about new upcoming Cutie Mark Crew figures appearing on Taobao including Smolder, Lotus Blossum and more. The seller has now listed a new character to join the line: Apple Bloom! And just look at her, doesn't she looks absolutely adorable? That big head and small eyes and her cute little bow! 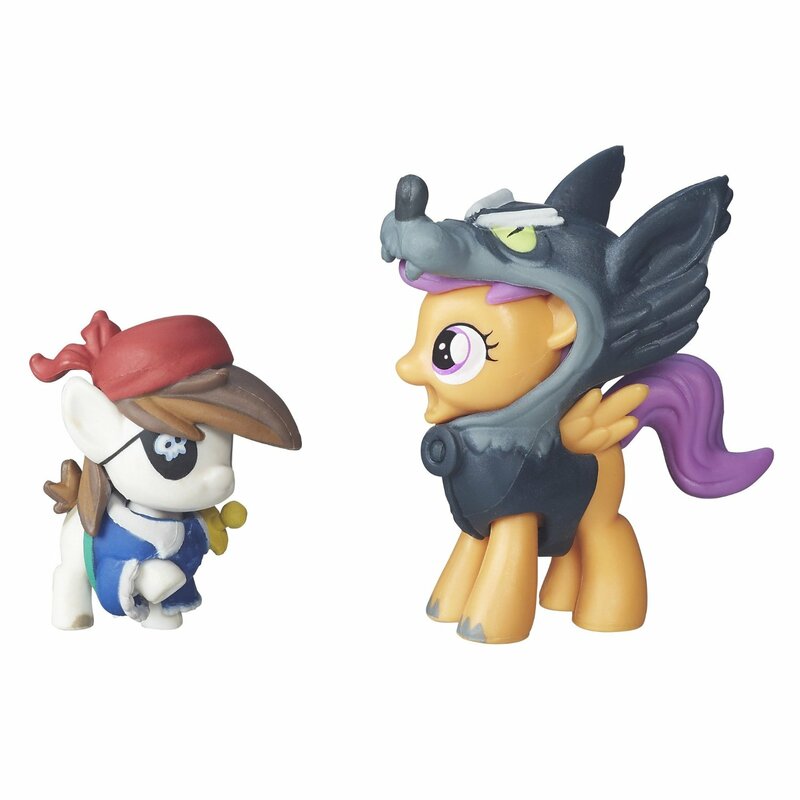 A small update on the upcoming Cutie Mark Crusaders brushables from the School of Friendship line today! On Taobao a photo was spotted where the three did not only have their painted on clothing, but also fabric skirts and accessories. 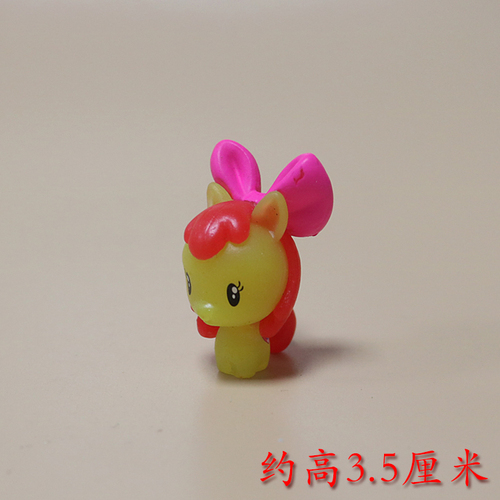 As seen above Apple Bloom is carrying saddle bags and Scootaloo comes with a helmet. 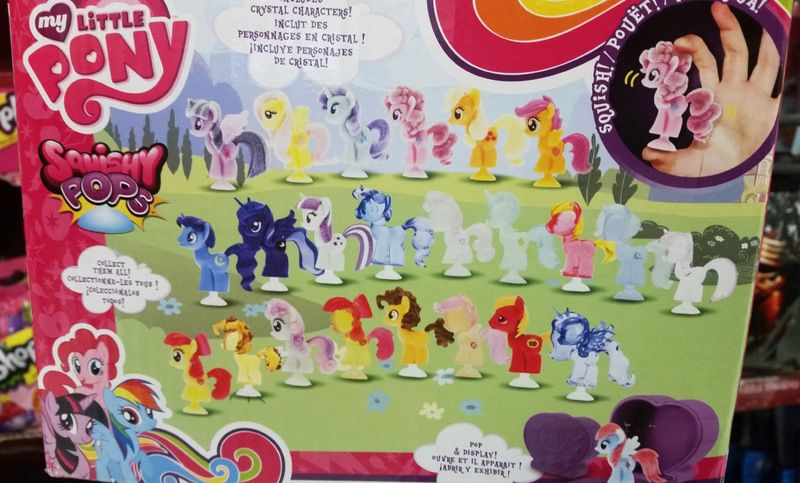 Sweetie Belle is currently only seen wearing her skirt, but that might change once we finally get to see them in packaging. I bet people will be happy with that news, as a recent poll we held showed that painted on clothes are far from popular. Personally I think it's a great combination to see, and wonder if other ponies in the set (like Starlight Glimmer) get additional clothing as well. 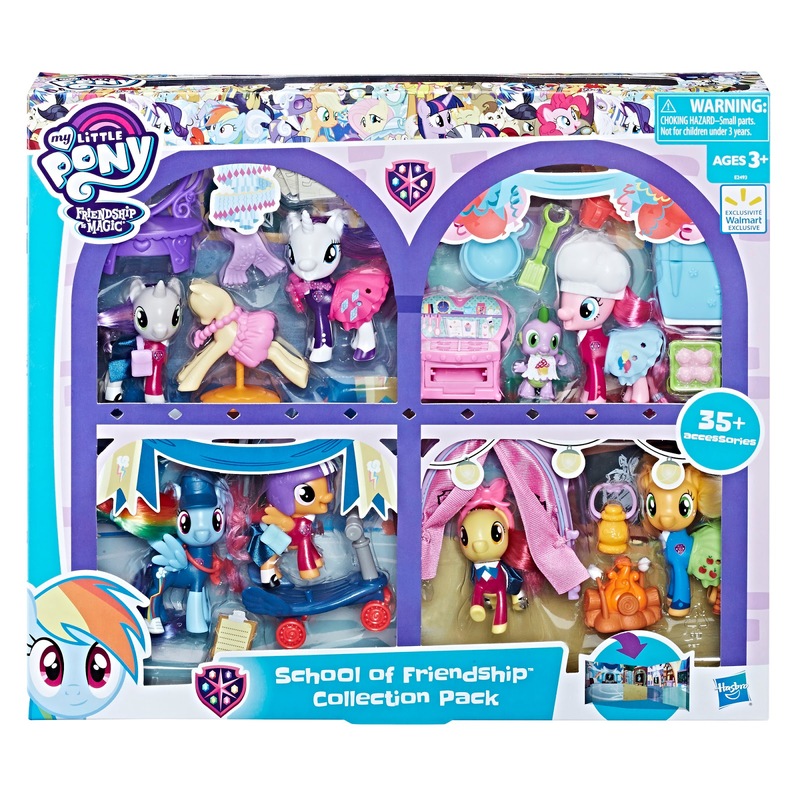 Speaking of other ponies, if you look closely on the photo above, between Apple Bloom and Scootaloo, you can see a Fluttershy brushable with what looks to be a new outfit. If my eyes don't deceive me she's wearing a skirt/dress as well, combined with painted on shoes and a headband. 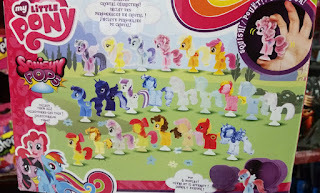 While it's not very clear, we hope to get more information on these upcoming ponies in the coming weeks. 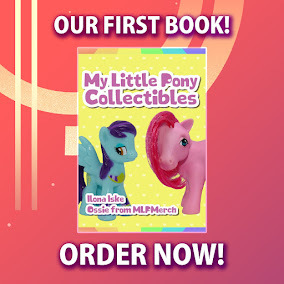 Scootaloo had the spotlight two weeks ago for being the first filly that was released after the reboot series started in 2017, and she had her cutie mark! Of course Scootaloo is never alone, so it was only a matter of patience before the complete Cutie Mark Crusaders trio would show up. 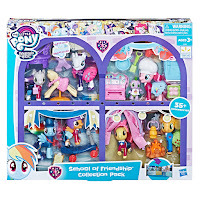 And that turned out to be today, as on eBay a listing has been posted featuring the complete CMC, all with their School of Friendship Outfit and cutie marks. 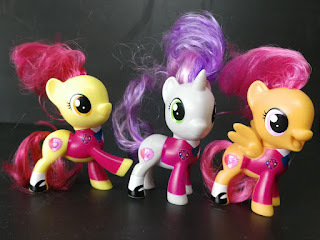 While the outfits and shoes are all the same, every one of them has a different pose: Scootaloo has an open mouth, Sweetie Belle a closed one and Apple Bloom has a raised hoof. We don't have any further information on the release of the crusaders, but expect them to be bundled into a 3-pack that will be available towards the summer. 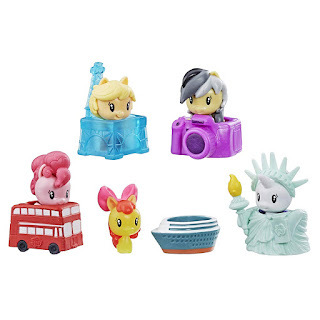 Over at Target in the US you can now get the latest waves of the My Little Pony Squish Pops and Fash'ems figures by Tech4Kids. While we already had some info on the 6th wave of Fash'ems (which has the same figures as wave 5, but with a clear finish), the Series 4 release of the Squish Pops is completely new. The latest wave of the small squishy figures introduces the first flocked figures and some new characters as well. Below we have more details on the included figures for each wave. Thanks to Anto for the images! 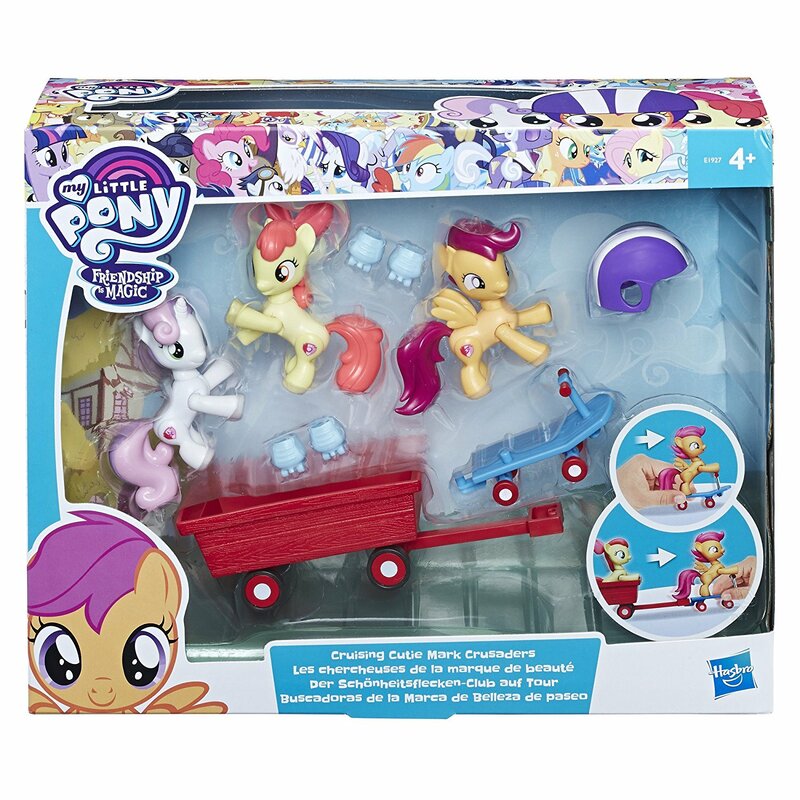 Remember when Hasbro told us that most of their new stuff was coming fall 2016? 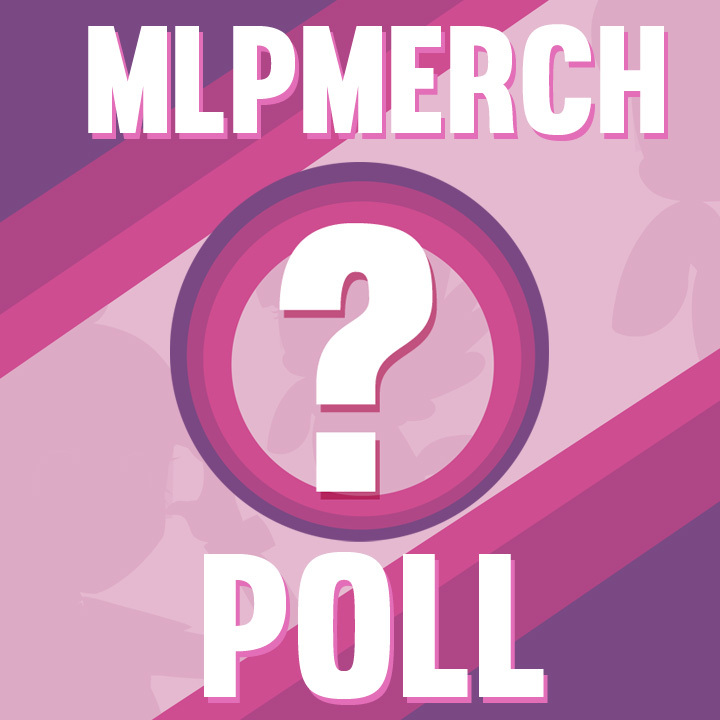 As it appears July is now officially renamed to Fall, as another wave of merch has been released in this very month. 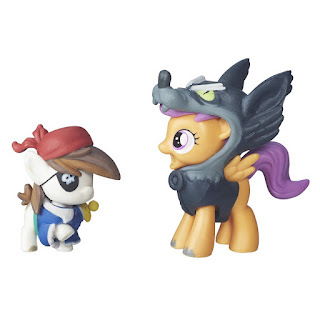 This time, it's the Small Story Packs from the Nightmare Night Friendship is Magic Collection. 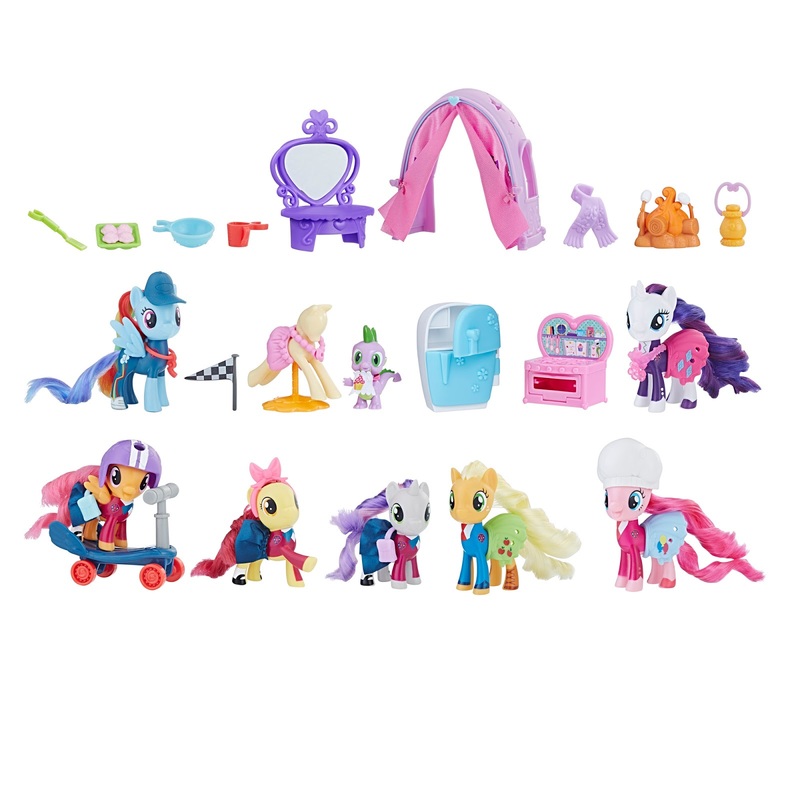 The wave consists of 4 packs with either 2 figures or 1 figure and some accessories. 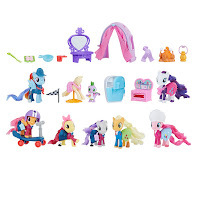 All the sets are themed after Nightmare Night and are now available on Amazon through a 3rd party seller. 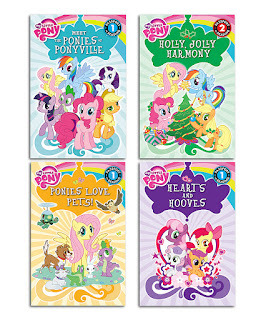 Always wanted to try one of the My Little Pony books, but never been able to get them cheap? 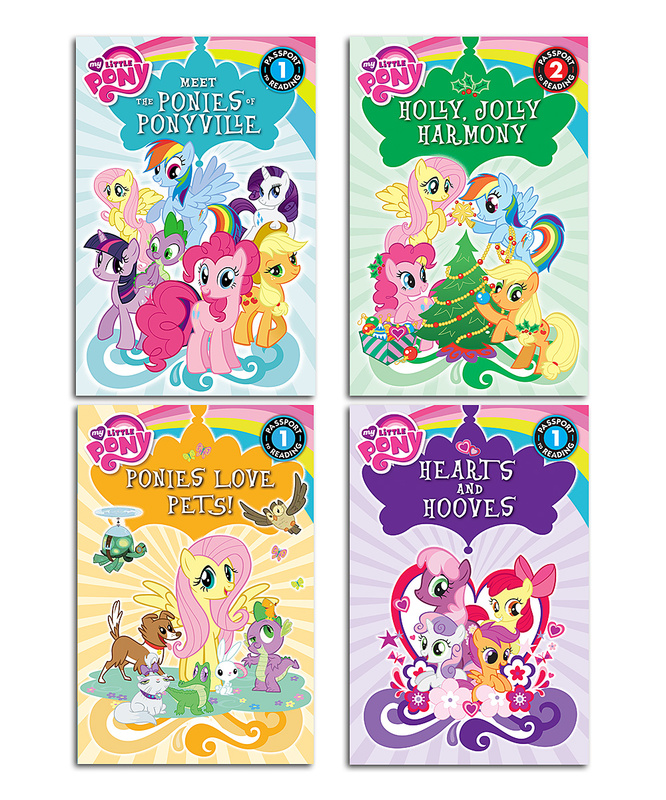 At this moment Zulily has a 3-day flash sale on all kinds of licensed books, including 6 My Little Pony deals. All listings can be found below. Note: You need to register for an account first. Also, be sure to select 'United States' as shipping country in the top right corner to see all deals!